Cuba’s new ambassador to Morocco Elio Eduardo Rodríguez Perdomo said on Wednesday that his country and Morocco open up new era in their bilateral relations, stressing the two countries’ willingness to set a “real political dialogue” and mutually beneficial trade relations. Rodríguez Perdomo made the remarks in Rabat following his meeting with Speaker of the House of Representatives Habib El Malki. He hailed Morocco’s support to the UN resolutions, calling for the lifting of the economic and financial embargo imposed on Cuba. 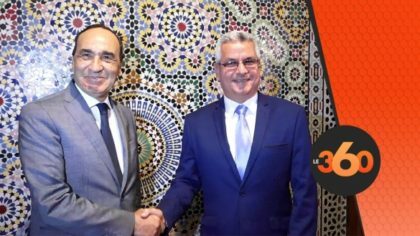 “The Cuban government looks forward to enhancing its relations with Morocco in the socio-economic, political, cultural, academic, scientific and technical fields”, added the diplomat who met earlier Moroccan foreign affairs minister Nasser Bourita. Last April, King Mohammed VI sent a congratulation message to President Miguel Diaz-Canel following his election as Cuba’s leader, voicing Morocco’s commitment to work together with Cuba in order to open a new page in their bilateral partnership based on mutual respect of the national values of the two countries. In June 2017, King Mohammed VI has appointed Boughaleb El Attar as Morocco’s first ambassador to Cuba in decades. The resumption of Moroccan-Cuban relations comes after the private visit paid by King Mohammed VI to this Latin American country. It was the monarch’s first visit to Cuba since his enthronement in 1999 and the first ever made by a Moroccan king. Since the 1960’s, relations between the two countries soured as a result of Cuba’s backing to Algeria during the Morocco-Algeria military conflict of 1963. And in the 1970’s, Havana declared its support to the enemies of Morocco’s territorial integrity, the Polisario separatists. But things changed in 2017 when Rabat and Havana decided to resume diplomatic relations ending 37 years of severance. This decision dealt a hard blow to the Algerian-backed secessionist group thanks to the royal proactive diplomacy.